There’s good reason why New Orleans is synonymous with Mardi Gras—the city has perfected the art of indulgence. This cultural gumbo of a city is known and loved for its decadence, and few are the visitors who don’t succumb to its alluring temptations: spicy étouffées, rich remoulades, raucous bars and all-night shenanigans. Fortunately, there are active ways to enjoy the city’s charms while working off its more indulgent attractions. New Orleans’ flat terrain and pleasant climate are both ideal for bike rides, jogs and walking. So go ahead, enjoy that second beignet. You’ll work it off soon enough. 1. The savvy guides at at Crescent City Bike Tours can take you on a two-wheeled trek around town or, if you’re more adventurous, rent a bike and cruise along the French Quarter waterfront and take the ferry to Algiers Historic District to pedal the Algiers bike path. In this quaint corner of the city, the appetite-inducing riding is great, and the recovery even better, especially at the aptly named Appetite Repair Shop (Chef Pete’s menu changes daily; cross your fingers for the crawfish-covered pork chops). 2. Runners and walkers love the serene oasis of Audubon Park and it’s nearly two miles of oak and moss-draped paths, located at the edge of the Garden District. It can be picturesque and haunting at the same time, and if you grab a melty, marvelous Cuban sandwich at the nearby St. James Cheese Company Uptown, it’s the perfect place for a post-run picnic. 3. Runners looking for a little more challenge, like maybe a solid five-miler, can run along St. Charles Avenue, with its cushy median, streetcars and jogging locals. Heading out from the French Quarter will bring you to the iconic Camellia Grill, the platonic ideal of a greasy spoon. You can chow down on a fried catfish dinner with corn maque choux (possibly the world’s best side dish), before taking a streetcar back to the Quarter. 4. Water lovers can take to the canals or Lake Pontchartrain on a stand-up paddleboard (rent from NOLA Paddleboards) and enjoy the views while working your core and balance. Paddling’s a great way to stoke your appetite for a pork belly sandwich or a modern take on the classic muffaletta at Cochon Butcher when you head back toward Downtown. 5. If indoor action is more up your alley, don’t miss the Thursday night Zydeco jam session at Rock-n-Bowl, where you can hit the lanes between dance sessions. Dancing to zippy Zydeco is a great way to trick yourself into a workout, and you’re going to need it. Rock-n-Bowl boasts a delicious and absurd fried bread pudding poboy. Bonus tip: Walk. Everywhere. 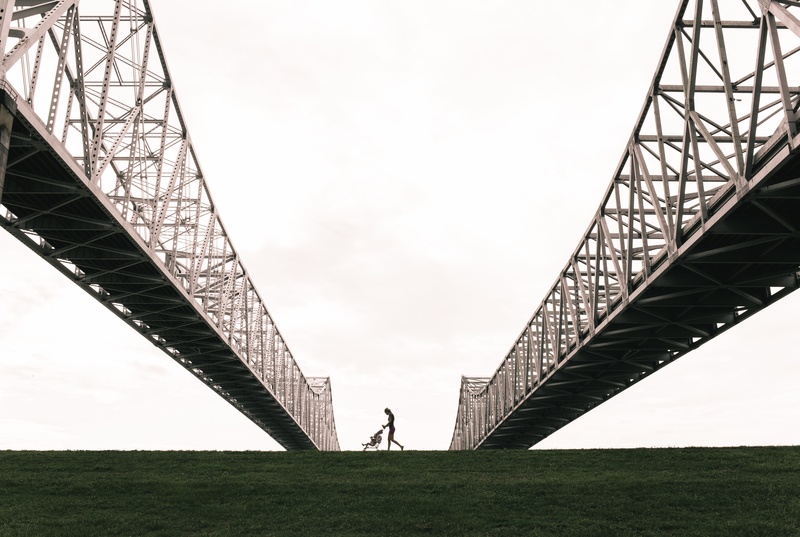 For workout junkies, walking may seem light-weight, but New Orleans is a city that’s best experienced by rambling about, wandering into cemeteries, peering over wrought iron garden fences, pit-stopping at will in a shop or bar.